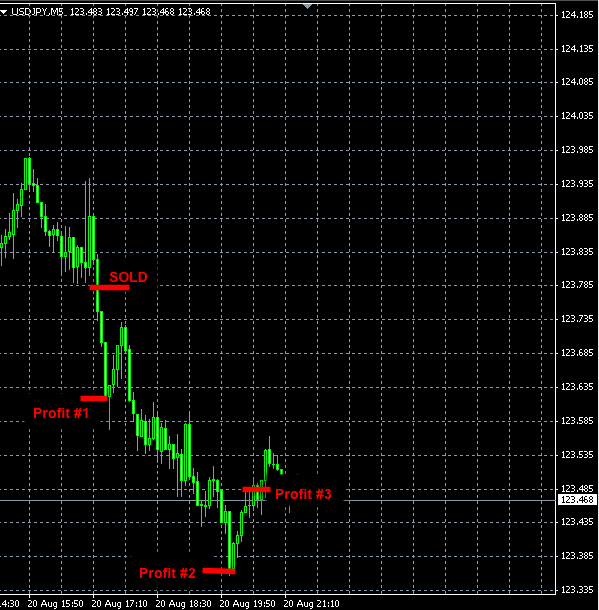 We made a couple of trades during these two days and closed both of them with small losses. The total amounted to -54 pips. 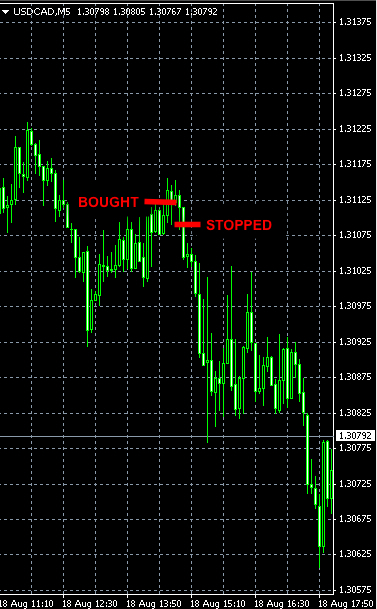 This trade reached both profit targets but not before shaking us off by triggering our break even stops. Well, we would rather be safe than sorry. 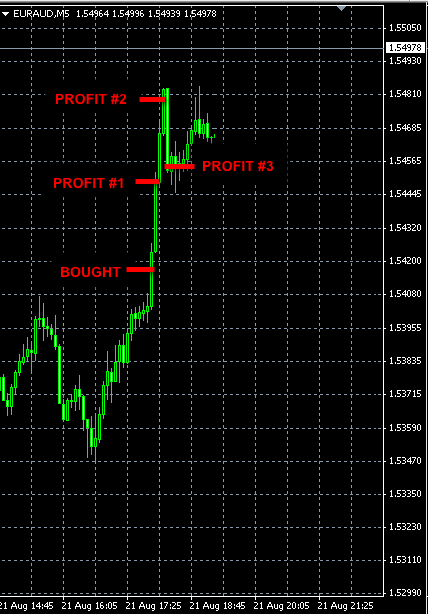 In Forex there is always another opportunity around the corner. There were no signals triggered on Wednesday. 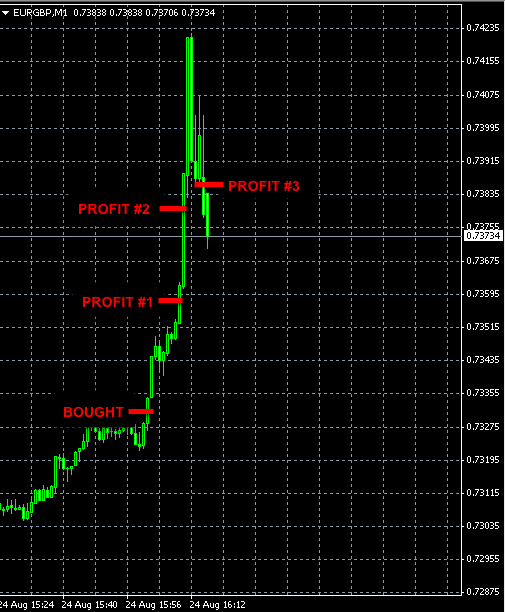 Today we made +64 pips profit. 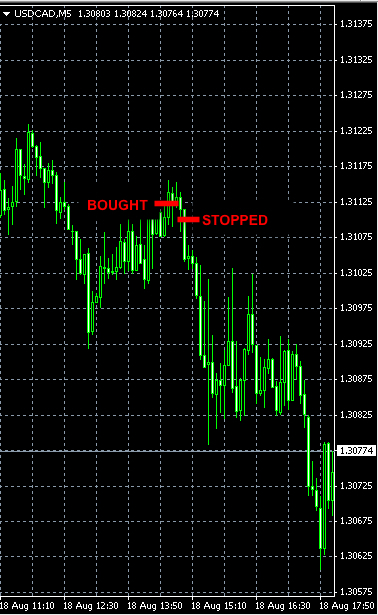 Later we updated the stop-loss for the second unit to 123.56. For some subscribers this stop-loss was triggered and for others it was not. 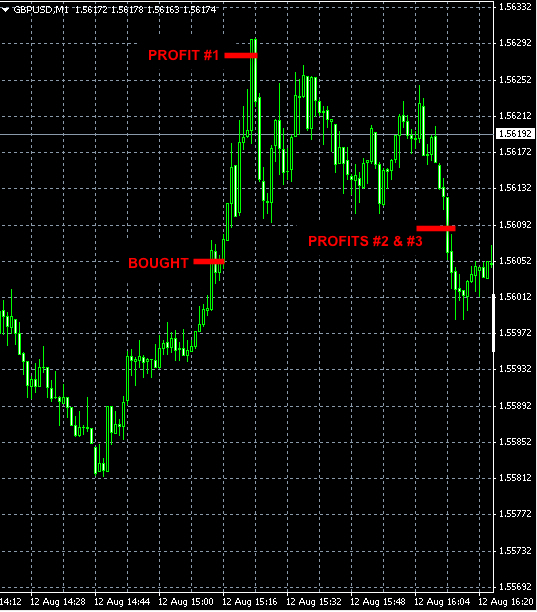 Therefore for the calculation of the total we use the higher number of 123.56 but on the chart we show the updated profit target for illustration purposes only. We just want to show how precise profit targeting can get. There were no signals triggered on Monday. On Tuesday the market was wiggling up and down and we incurred 3 small losses. 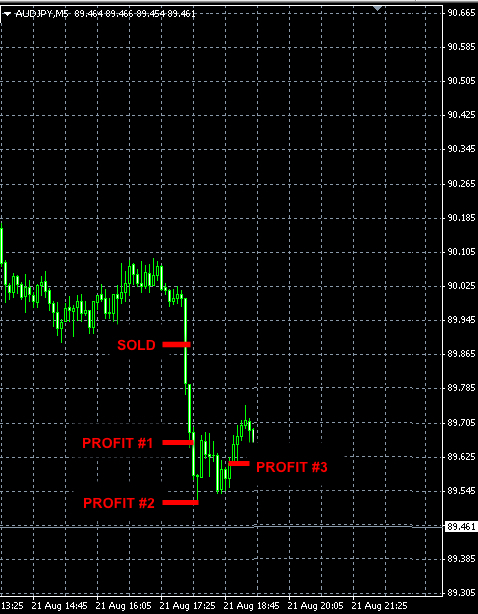 The stop-loss order was later updated to 1.3108. 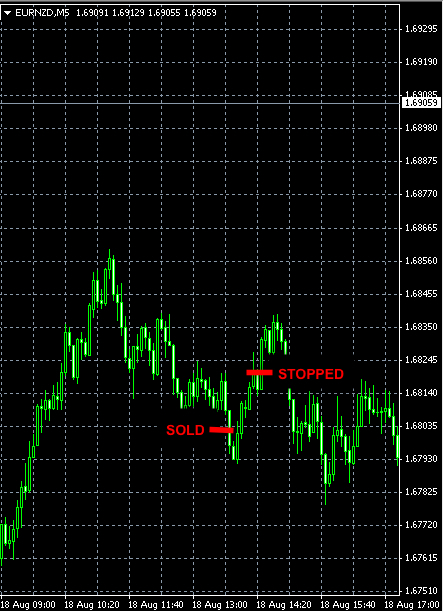 This stop-loss orders were triggered for the total loss of -9 pips.